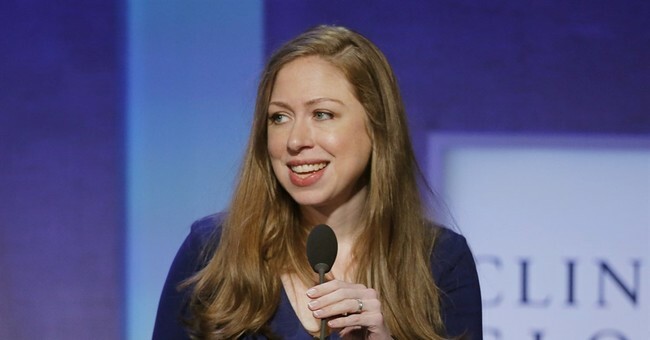 During a candlelight vigil for the victims of the Christchurch mosque shooting, two New York University, anti-Israel protestors decided to confront Chelsea Clinton about her condemnation of Rep. Ilhan Omar's (D-MN) anti-semitic comments. In their eyes, Clinton was responsible for contributing to Islamophobia, which they say, encouraged the terrorist attack. ...Just weeks before this tragedy, we bore witness to a bigoted, anti-Muslim mob coming after Rep. Ilhan Omar for speaking the truth about the massive influence of the Israel lobby in this country. As people in unwavering solidarity with Palestinians in their struggle for freedom and human rights, we were profoundly disappointed when Chelsea Clinton used her platform to fan those flames. We believe that Ilhan Omar did nothing wrong except challenge the status quo, but the way many people chose to criticize Omar made her vulnerable to anti-Muslim hatred and death threats. I never thought I'd find myself defending Chelsea Clinton but she did nothing wrong by condemning Omar's anti-Semitic comments. In fact, she did absolutely everything right. Anti-Semitism is something we should all disagree with. Persecuting people of a particular faith or ethnicity is wrong. Making the argument that condemning Omar's comments is "anti-Muslim" hatred is stupid. In America, everyone has a right to practice whatever faith they choose, as long as they're not harming others. Not once – at least to my knowledge – has a public figure who condemned Omar's comments called for people to threaten the Congresswoman. Not. Once. To assume otherwise is irresponsible and disgusting. It's possible to say someone is anti-Semitic without being anti-Muslim. The two aren't mutually exclusive. And every single race issue is not intertwined. It's possible for someone who's black to be anti-Semitic, just like it's possible for someone who's hispanic to be anti-Muslim. Omar shouldn't be given a pass because she comes from a group of people who have been persecuted in the past. It doesn't give her carte blanche to spread her anti-Semitism because she know what it's like for people to attack her based on her race and religion. Liberals need to realize that you can be against the persecution of all people, all races and all religions. BuzzFeed, however, should be ashamed of themselves for publishing such a disgraceful opinion piece. They're elevating protestors and encouraging anyone and everyone to ambush public figures when their opinions differ. Just how many people are going to see these girls' video and read this OpEd and say, "That could be me. Now I just need to think of a way making myself appealing to the news media"?